Sometimes what makes the biggest difference with the appearance of your work, are the things that it is assumed you know. 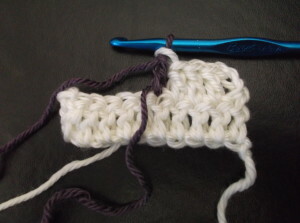 For crochet this means those little things in a pattern that state; “weave in ends”, “change color”, “finish off”, “yarn over”, and the unwritten beginning slip knot. These are areas that I have taken a little time and explored, to see what feels most comfortable to me. I have some past posts talking about weaving in ends and yarning over, so today I thought I would take a look at color changing. 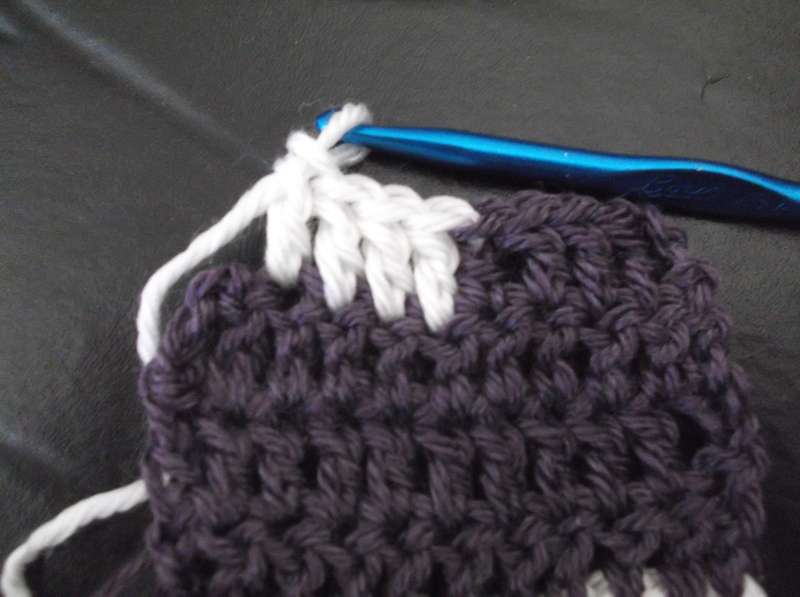 I have played with a couple different approaches to changing color since I started crocheting oh, so many years ago. I think in the beginning I just tied the colors together, sometimes at the end of my last stitch and started the next stitch with the new color, having a little knot at the top of the stitch. I mean I would cut the working yarn and tie the new color to it, and just keep crocheting away, so it was just one long piece of yarn in my experience. It is not exactly perfect, always a little unsure of exactly where the color will change at, and then there is the little knot, so it adds a slightly different texture. Then I graduated to the point of changing the color after completing a stitch, and begin the new color with the next stitch. It was similar to the cut and tie method I did in the beginning, but I did not necessarily create a knot. I would cross the yarns over each other so that the last loop of the first color would get to loose. 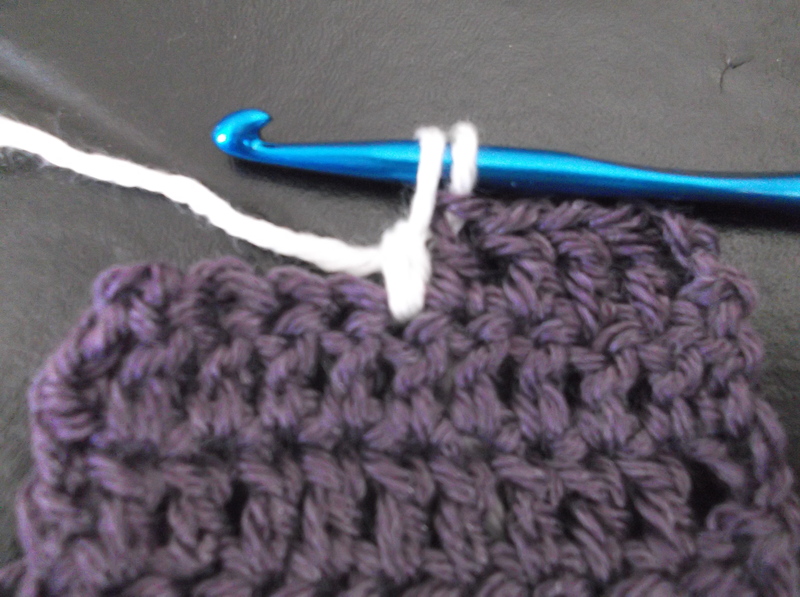 But if you look at this approach, it does not leave a smooth “straight” line of the color change, there is a little color overlap in the newly created stitch. The reason for this is due to the stitch construction for crochet stitches. The last yarn over and pull through of a stitch, actually creates the top of the next stitch adjacent. So then I realized that I needed to change color at the last yarn over and pull through of the point of the color change. This gives me a cleaner color change, and a secure transition of yarns. It allows my work to have an appearance that looks a little more skilled. Granted I have ends to weave in, but this simple technique has taken my work to new level.